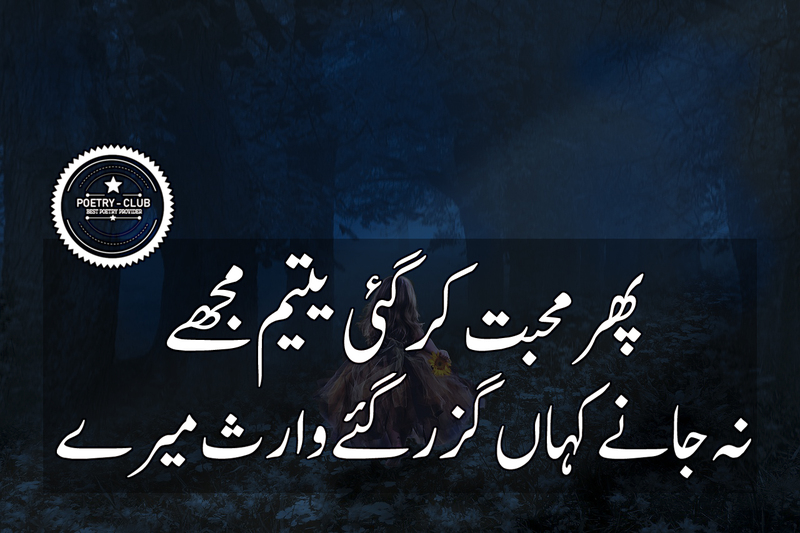 POETRY CLUB Image Poetry Sad Poetry Urdu Poetry Phir Muhabat Kr Gayi Yateem Muje ...! Phir Muhabat Kr Gayi Yateem Muje ...! Na Jany Kahaan Guzr Gye Waaris Mere ...! Welcome to Poetry Club. we are here to provide you every sort of poetry in both Urdu and English languages including every sort of Quotes, Romantic Poetry, Sad Poetry, Friendship Poetry, Love Poetry, Lips Poetry, Religion Poetry, Wedding Poetry, December Poetry, New Year Poetry and lot of more.